Fairmile Grange has been chosen by All for Love, a renowned London-based florist, to receive a selection of stunning flower arrangements to display in the Christchurch care home. All for Love, which has previously worked with Jimmy Choo, Harpers Bazar, and many other prestigious brands, set up its charity ‘Loved Again’ in 2017. Since then, the charity regularly donates flowers from its events to local charities and mental health initiatives. Following the marriage of Tamara Keefe, an All for Love employee, to her husband Dean Goodwin in Highcliffe Castle on Saturday, July 21, Tamara chose to donate their flowers to the residents of Fairmile Grange. 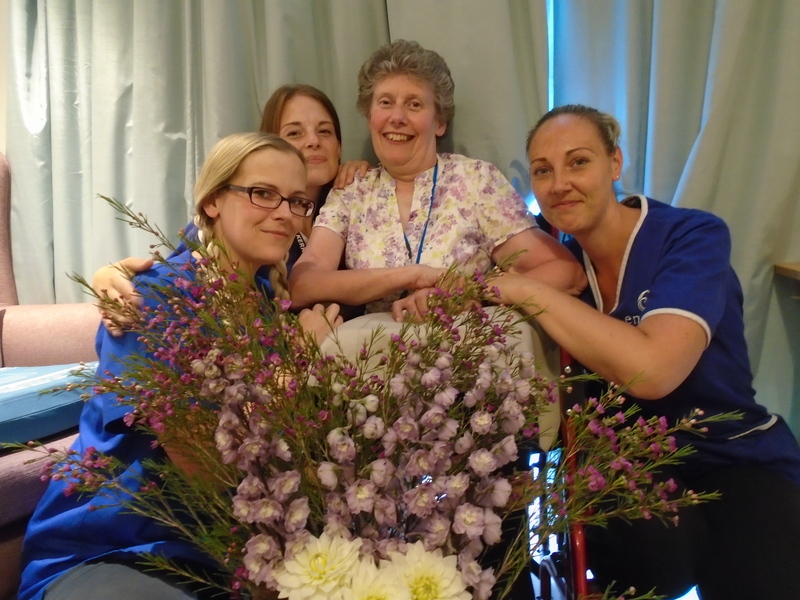 When the flowers arrived at Fairmile Grange the morning after Tamara’s wedding, residents and members of the care team worked together to arrange a variety of bouquets, which the residents placed throughout the home. Mary Maughan-Otten, home manager of Fairmile Grange, added: “Flowers are not only a fantastic way to brighten someone’s day but flower arranging also provides cognitive and sensory stimulation. It’s a lovely, soothing activity and a great opportunity for socialising. So many of our residents thoroughly enjoyed sitting down together and creating different arrangements, which were personal to them. Fairmile Grange is an 80-bed care home, which is managed by Encore Care Homes. Situated in the peaceful grounds of Christchurch Hospital, Fairmile Grange has state-of-the-art facilities, a stunning landscape garden and expertly trained staff who are supportive and provide excellent care to the residents. For more information about Fairmile Grange please visit www.fairmilegrange.co.uk or call 01202 007569 to speak to a member of the team.